Tonight, Joe was in a mood. Why? Because I refused to pay $2 for him to breed some imaginary creature in DragonVale. The impetus for buying Joe an iPad in the first place was to help him with his studies. For a while, he was great about doing both spelling and math apps with it. We loved that he spent hours on Google Earth. Bit by bit, though, he started getting more into gaming apps and spending less time on the educational apps. Next thing I knew, he was asking me to check on his Tiny Zoo, feed his make-believe fish, and buy him dragons. Seriously? Is this what it has come to? Now I’m an app lackey in addition to being Laundry Queen and Head Chef? After I told Joe I would not be putting in our iTunes password to purchase a sack of imaginary gems for his dragon breeding, he had something of a meltdown. I sent him to his room. Soon, Luke came down with a report. “Well, I thought you should know he’s hatching a plan to figure out your password so he can still get them,” he tattled. “He is, huh? Thanks for the report, lieutenant.” I saluted him. I went upstairs into their room and Joe was not on his bed. I called his name. A noise emanated from under the bed. Yep. 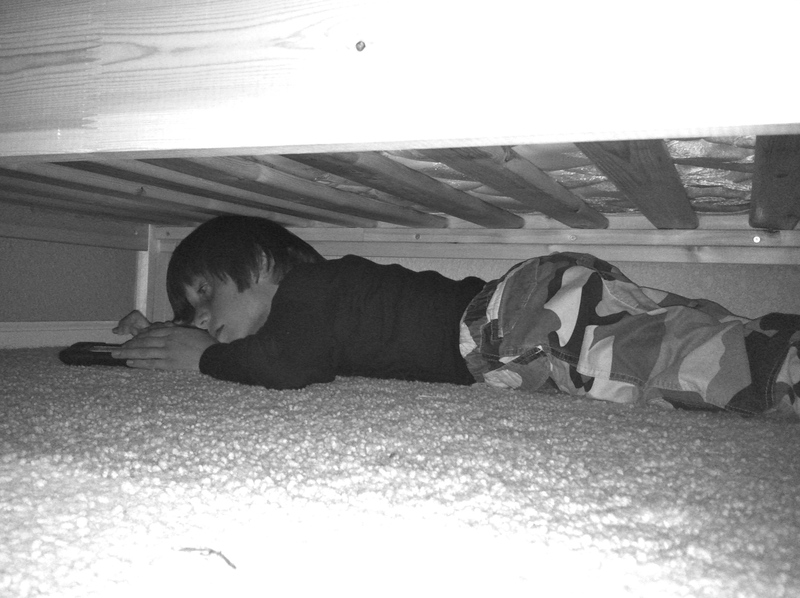 My nearly 11 year old son, livid at his unwavering mother, had crawled under the bunk bed in protest. I laughed to myself and then got flat on my belly next to the bed to confront him. “No. That isn’t it. 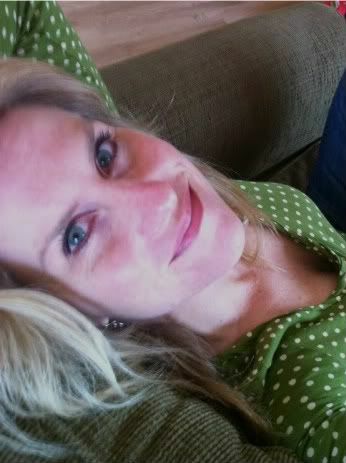 So, you do admit that you tried to steal?” I inquired. “No. I told you. It didn’t work,” he said, exasperated with me. “Well,” I replied, “I said no. That’s my final answer, and it’s not up for discussion.” And, with that, I left the room. I know he’s mad at me now, but he’ll get over it. In time he’ll learn that his terrorist tactics are a waste of his time with me. I’ve been the target of these attacks for years now and I’ve acquired some skill in handling them. Don’t tell him, but I’m secretly impressed by his attempts at coercion and blackmail. He’s good; he’s just not as good as me.